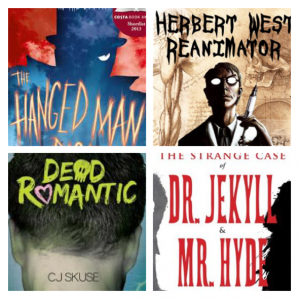 Today, I’m on the Author Allsorts blog sharing seven classic Halloween reads and the YA books that bring them right up to date. Think Dr Jekyll and Mr Hyde vs. The Hanged Man Rises, or The Hound of the Baskervilles vs. Monster. This post was right up my street, as I got to talk about my two favourite types of fiction — classic gothic and scary YA! Find it here. Let me know me if you have any classics vs. YA suggestions of your own.